In the history of war there are not that many battles that changed one side’s strategy over a considerable period of time, becoming not only a material, but also a psychological factor in decision making. A classic example of this is the Battle of Smolensk in 1941, which forced the German leadership to change their strategy for ‘Barbarossa’ and to deploy their troops towards the northern, and eastern flanks of the Soviet-German front. We can however find another example on the other side of the front line: this was the battle in the area around Kharkov in the winter of 1943, which had even more of an impact. Following the simultaneous defeat of several of the shock troops on the two fronts and the loss of a large tract of territory the vector of Soviet strategy changed. A passive expectation of the enemy’s actions replaced the attacking momentum that was traditional for Soviet command. To begin with there were objective prerequisites: Red Army units were exhausted and had incurred heavy losses in the German counterattacks during February–March. By May 1943 however, when the troops had recuperated and reserves had been drawn up, the psychological factor continued to play a role. Recalling their bitter experience during the winter battles outside Kharkov the Supreme Soviet Command decided not to go on the offensive, but await the start of German offensive operations. Up until the very last day before the start of Operation ‘Citadel’ the Commander of the Voronezh front N.F. Vatutin was pleading, he demanded that precious summer days not be spent waiting for the enemy to attack but for the Red Army to take up the offensive themselves. All these proposals distracted supreme command, as they remembered Vatutin’s failures outside Kharkov a few months previously. 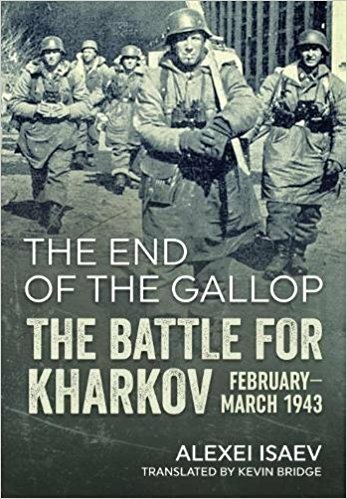 From a military historian’s point of view the battles outside Kharkov between February–March 1943 were dramatic maneuvering battles and the success of both sides hung in the balance on a daily basis. Operations such as these are always much more interesting than the tedious, meat grinding positioning for a ‘house in the forest’, that is abundant in the histories of both world wars. Maneuvering, the deployment of corps and divisions around an area to attack an enemy where they are most vulnerable, played a much more important role than the arithmetic of the numbers of tanks and guns. The steady equalization of both Soviet and German sides added spice to this menu of a classic maneuvering battle. During the course of the battle for Kharkov Soviet forces encountered a new, powerful enemy in the shape of the Panzer divisions of the SS. These were elite mechanized formations equipped with the latest technology, which were soon to become leading participants in decisive battles in the East and the West in the second half of the war.